She had the biggest beautiful brown eyes you’ve seen. People sometimes stopped her parents on the road to tell say just that. Through those eyes she saw the world as a beautiful, secure place. She felt loved and special. Then something changed. It wasn’t one large event, just a series of small ones. She absorbed the discontent of her parents. She soaked up their anger with each other. She tried to fix things, to make peace. It cost her dearly – her peace, her childhood and most of all her innocence. Those beautiful eyes saw the world differently now. Introduced in February 2013 – an invitation, a prompt, a linky. Write exactly a 100 words on the prompt and publish it on your blog – a story, a poem, a mini-essay. The linky will be open right up to next Friday. 100 Words on Saturday will be up every 2nd and 4th Saturday. Very true ! feel sad when I see the plight of children, some grow up too fast and lose the joys of childhood, parents have a great role and most often they easily forget about their own childhood… thanks for sharing ! Really nice post showing the misunderstandings in a relationship and its side effects.. These type of scenarios also create a sign of danger in the mind of a child. May be we can say it leads to the development of a devil’s mind. The eyes they do speak a lot about the state of our soul. Preservation of a child’s innocence is something I pray for each and everyday. This is a really good theme BS. This is the sad truth of so many young eyes. Thanks for sharing this, Corinne. So true, Corinne. It takes really sensitive and unselfish parents to look at things from a child’s perspective. Those innocent eyes guided by heart suddenly get captured by mind to deal with the worldly game. Harsh reality….very nicely written. It truly is – but I don’t think parents even realize what they’re doing. Yes, it is sad when parents don’t see the sensitivity/innocence in their own children . . . Such a touching post, Corinne. Beautiful! This piece of fiction is reality for so many people out there. I wish it was never that way. A very powerful write-up Corinne. You really said it as it is. How many of us have lost our childhood innocence through no fault of our own. The reality is we all lose some of our hopes and optimism when we finally put on a few years and go out into the world and discover it is not as kind as it was in our own safe place. Oh! That’s such a big crime… to take away the innocence from a child at such a young age. These things can scar a child forever. very true… kids are very sensitive and sense things very quickly. It’s so tough to retain innocence in this big bad world, Corinne. But the worst of it all is, that when someone does retain it for whatever reasons/circumstances they have been in, they are believed to be pretending and are accused of it. Parents don’t realise the damage they do! The disconnect in relationships always leaves a scar in the child’s mind. Sad but true. It is true that parents sometimes rob the kids of their blind faith in them. I have seen vacant eyes of troubled children and they never light up fully even when they grow up. 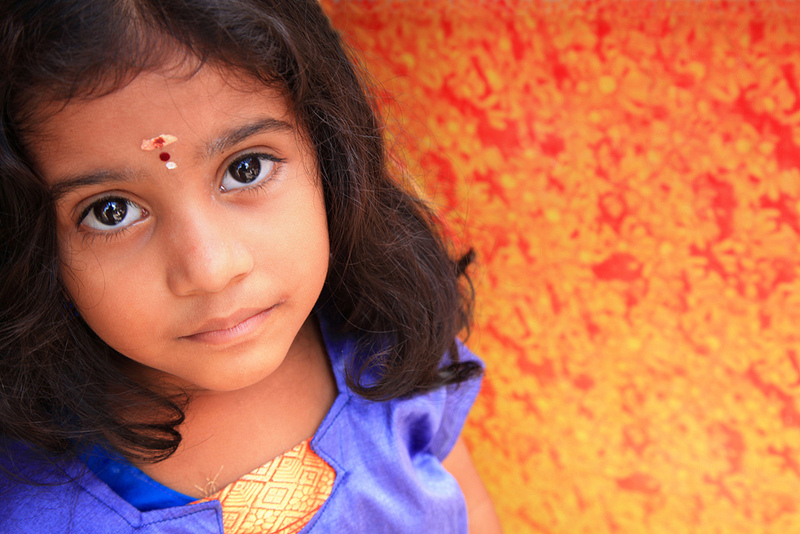 Too many kids with vacant eyes – wish we could do more to light them up!